Helen was born and brought up in Caithness, and after training as a glass engraver, soon became one of our most prolific designers. Helen’s designs are frequently abstract and very expressive. She works closely with the glassmakers, devising new techniques and effects to realise her ideas. Helen was delighted to return to the team after an absence of several years. 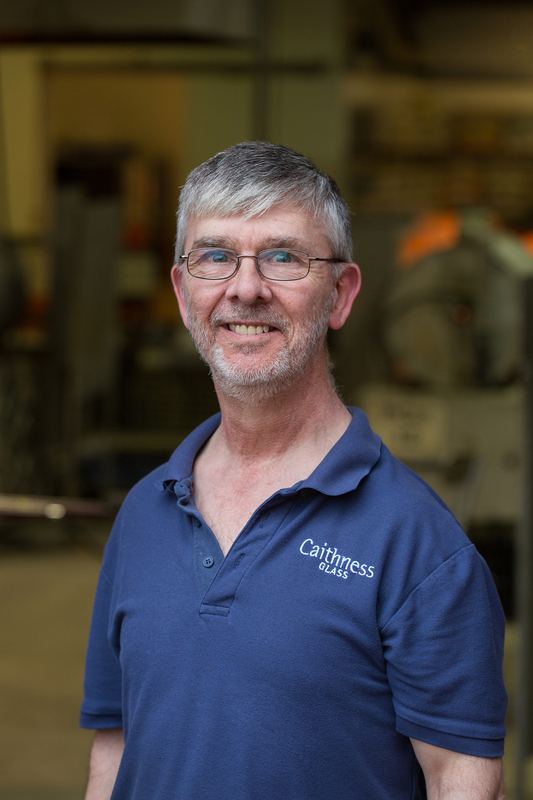 Hailed as the father of modern paperweights, Colin joined Caithness Glass in 1968, initially to set up an engraving department. He revolutionised the paperweight world with his modern, abstract style of paperweights in 1969. He created the first set of paperweights ‘The Planets’ these ground breaking abstract creations thrusted Caithness Glass to the forefront of modern paperweight design. Sadly, Colin passed away in 2007 but some of his designs are still present in the Caithness catalogue. 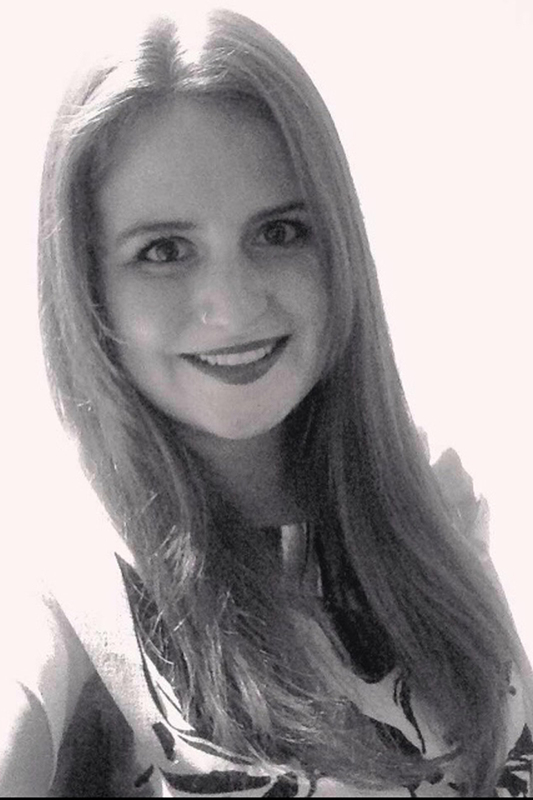 Gemma graduated from Edinburgh College of Art with the Caithness Glass Masters Scholarship in 2017. 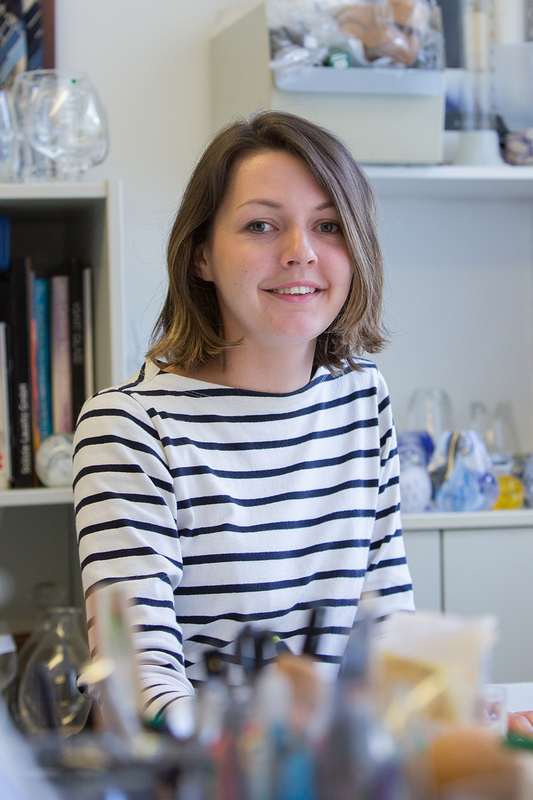 She has a love of Scandinavian design which was strengthened during time spent studying in Denmark and she has since received several design awards and exhibited across UK and Europe. 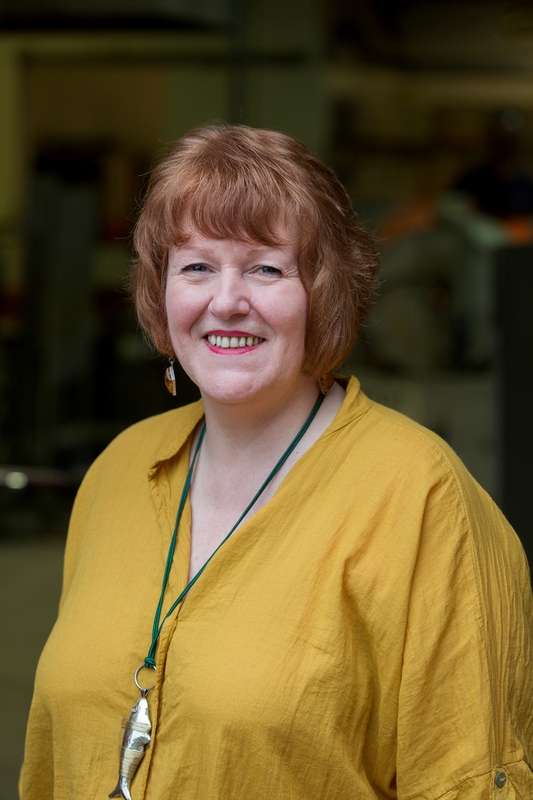 Gemma is passionate about maintaining traditional craftsmanship and enjoys working alongside the highly skilled glass makers at Dartington Crystal & Caithness Glass as a new designer. 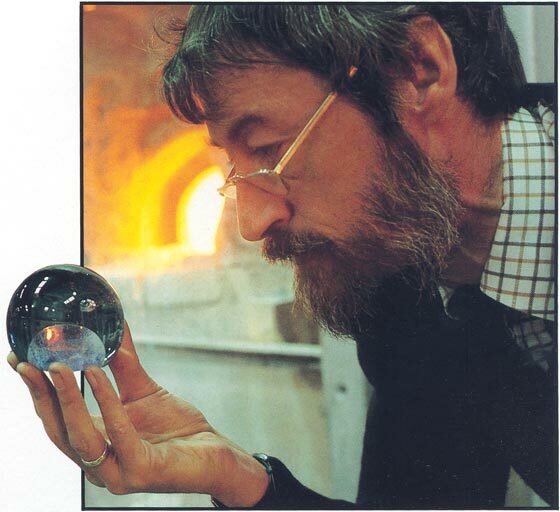 Allan began as an apprentice Lampworker for Perthshire Paperweights in 1975. He left to help John Deacons form Jay glass in 1979. He joined Caithness Glass in 1983 and set up the Lampwork department where he designed and made Lampwork for almost 25 years. He now works with Caithness on a freelance basis to create Lampwork pieces. 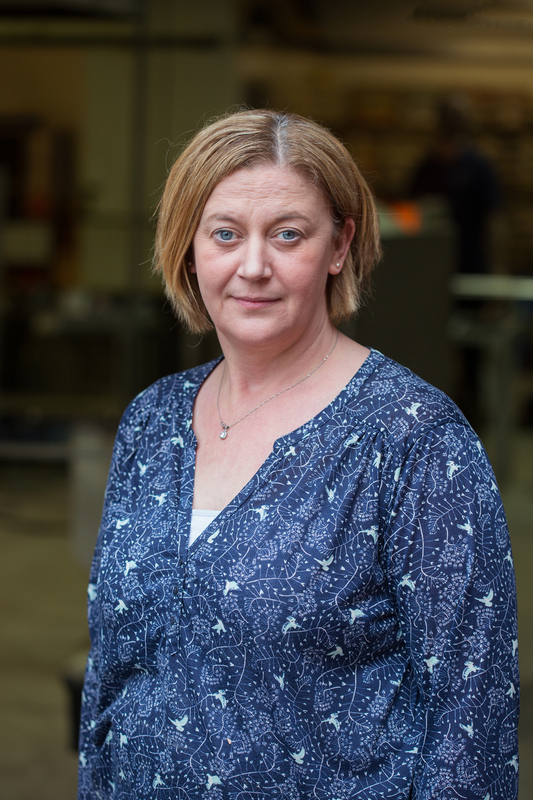 Helen graduated Duncan of Jordanstone with a BDes Hons in Jewellery Design specialising in Lampwork in 2011. She has since set up a business in Lampwork Jewellery and is thrilled to be on board as a Lampworker for Caithness Glass. Debbie started work at Caithness in 2008. Her main responsibilities are making sure the paperweights are correctly packed and sent out to customers. Debbie is known as the night fairy as her hours of work are when we have all finished for the day. She packs away all the days production readying the space for the next days work. Starting his career at Caithness in 1991 as a glassmakers ‘helper’, Scott progressed to paperweight maker within 12 months. 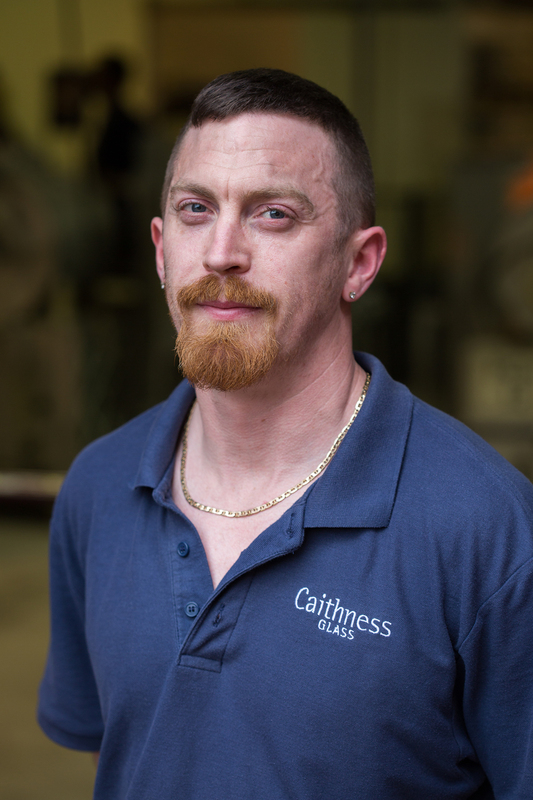 Now, Scott has one of the highest levels of skills and knowledge of glass at Caithness. 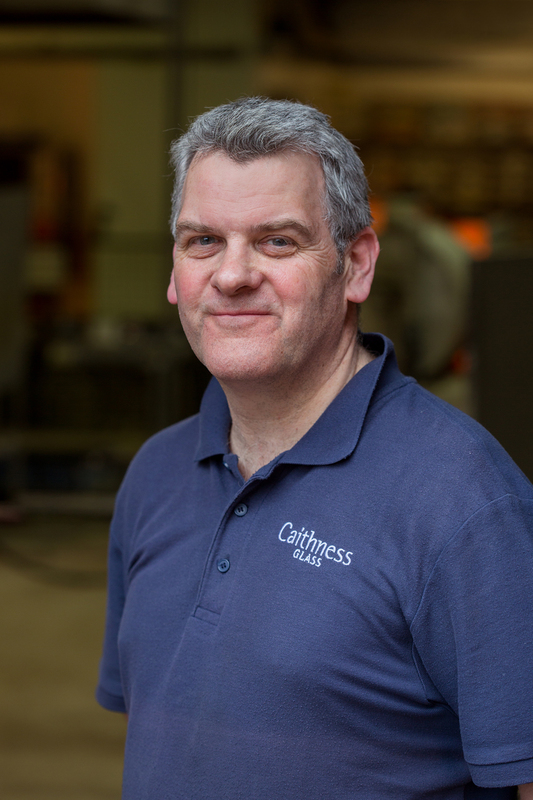 Following the move to Crieff, Scott has also taken charge of the furnaces used in melting the glass for production – a skill in itself. Calum started his career in 1977 with Perthshire paperweights who specialised in millefiori and lampwork designs. 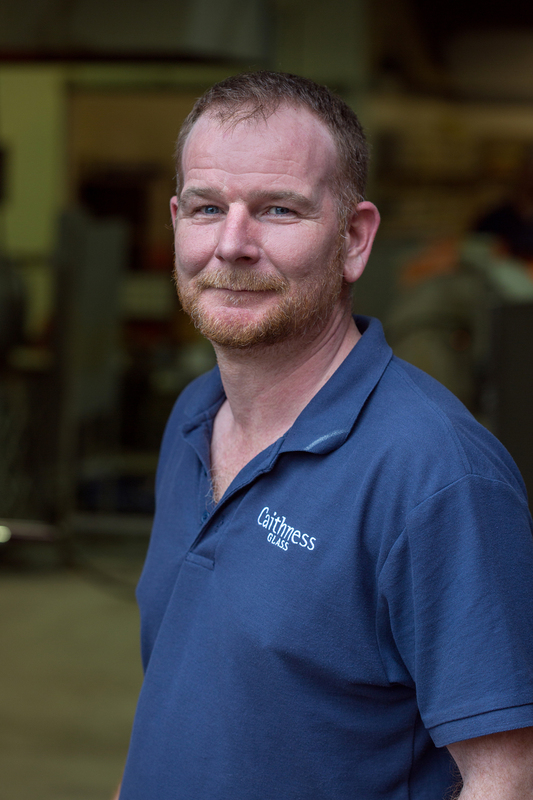 In 2002 he joined Caithness Glass, where he has continued to create designs using the methods that he had mastered, and has also acquired new skills and techniques for making Caithness products. 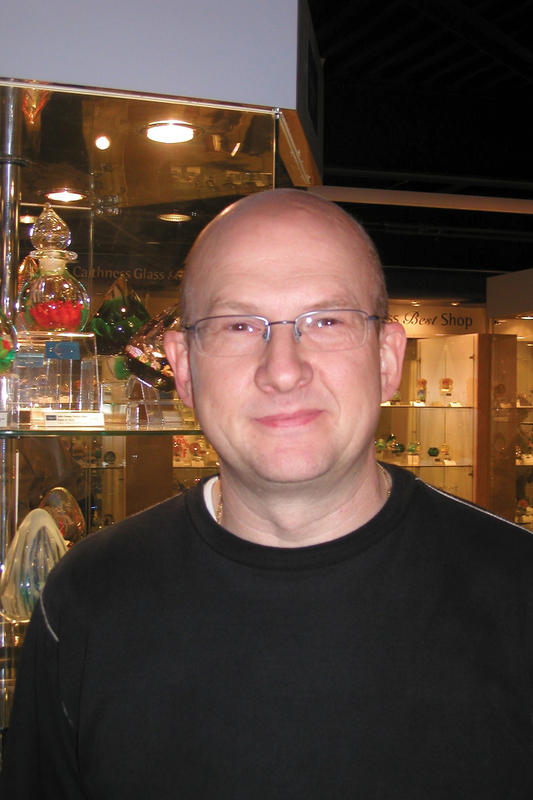 Martin has over 40 years’ experience as a glass cutter and engraver. As a native Irishman, his early training was at Galway Crystal. After moving to the UK in 1974 to work at the Kings Lynn factory, Martin then moved to the Caithness Glass site in 1992. Martin has used his skills and creativity to enhance the collection with a variety of cuts and faceted finishes. Proud recipients of his work include several members of the British Royal Family. 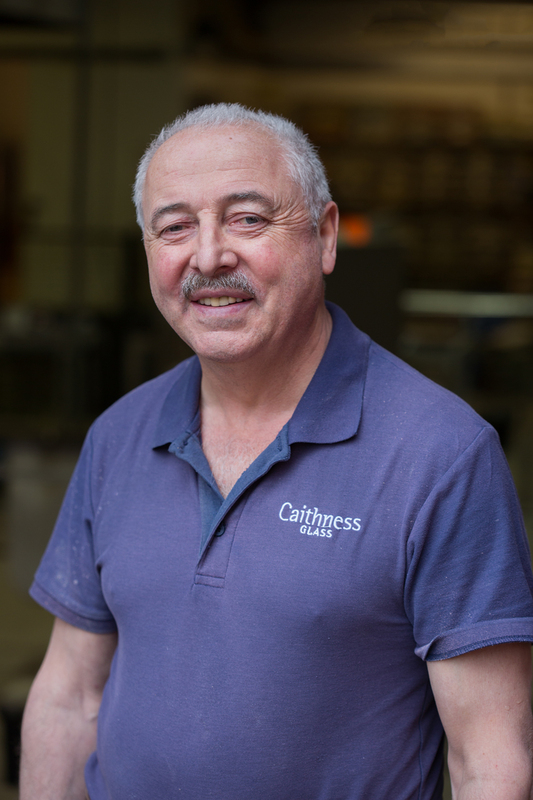 Martin started work at the Caithness Oban factory in 1976 and later relocated to the main Perth factory where his considerable glassmaking skills and knowledge were put to good use. He has continued to create the highly intricate Caithness designs and is also a master with the technique of sandcasting. Robert spent a year learning the basics before being promoted on to the maker’s bench where he made his first paperweight “Mooncrystal”. Not only can Robert make paperweights but he is also a master at making the more sculptural pieces that Caithness can produce such as large bowls, sculptural items and figurines. 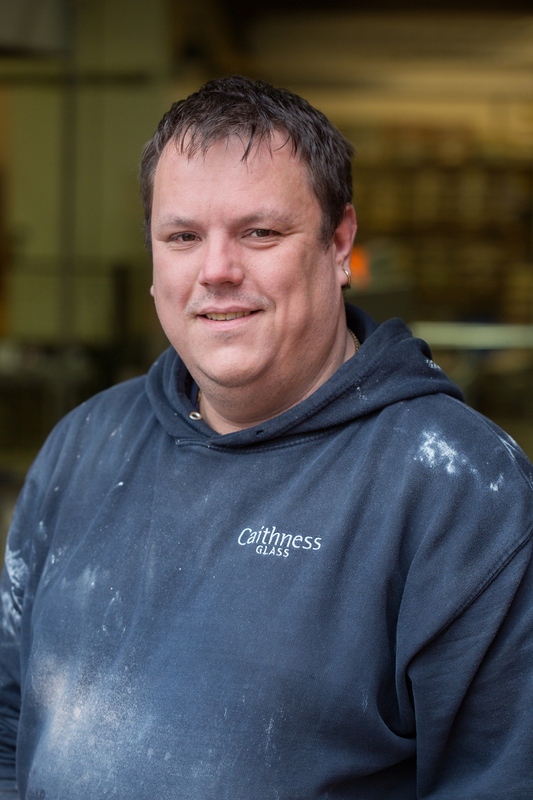 Fraser first started in the Caithness factory in 1999 when he was 16 years old, fresh faced from secondary school. He worked as a helper then a paperweight maker. He proved to be excellent at making the animals that were in the range at that time, and specialised in making the large elephants - these were very large and difficult to control. In complete contrast, Fraser is now a master at making dainty paperweights and is being trained up by Martin as a cutter. Ian first started with Caithness in February 2002. His first job with Caithness was paperweight assistant. This was followed by paperweight maker and sand caster - preparing the colour moulds for the cast glass to be poured into. 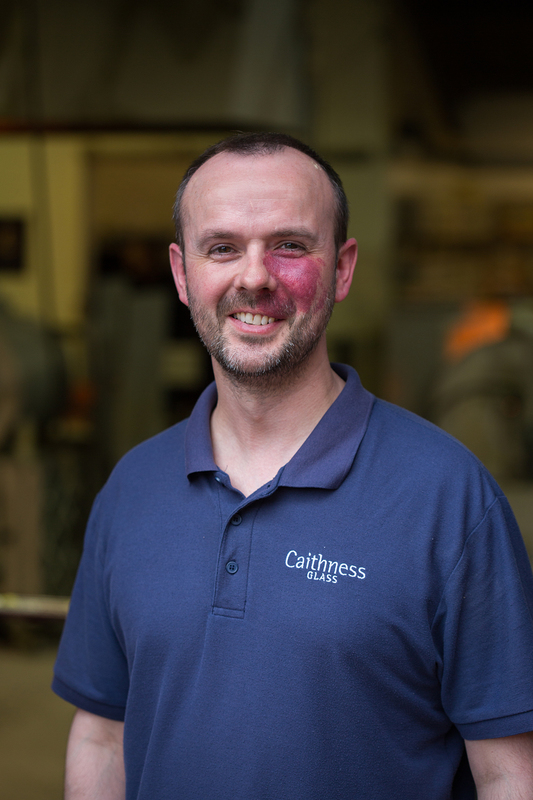 Ian has worked within most of the production departments in Caithness Glass - he is a master of all trades!